Unfortunately, we still live in a world where having an affinity for marijuana can sometimes get you into trouble with law enforcement. It could happen to anyone, and we all know what it feels like when you see lights in your rearview mirror and a rush of adrenaline fills your body as you try to mentally prepare for what comes next. If you do find yourself in a situation like this, try to remain calm and act as though you haven’t done anything wrong. Even though cannabis is legal recreationally and medically in Washington, there are still legal situations that can arise, so being prepared and knowing what to say and do is a great first step, and finding a great lawyer with experience in cannabis law is equally important. Marijuana lawyers know the state and federal laws inside and out and can help tremendously if you’re in a pinch! 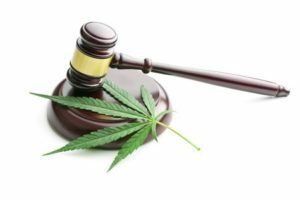 Here are our recommendations for Washington cannabis lawyers, broken down by area. For more information on Washington Marijuana Laws, click here!